Dr Jackie King (left) and Dr Debra Roberts (right) have received global recognition for their work around climate change. Two South African women have been honoured globally for protecting the planet’s precious water resources and helping to prepare action plans on global climate-change. 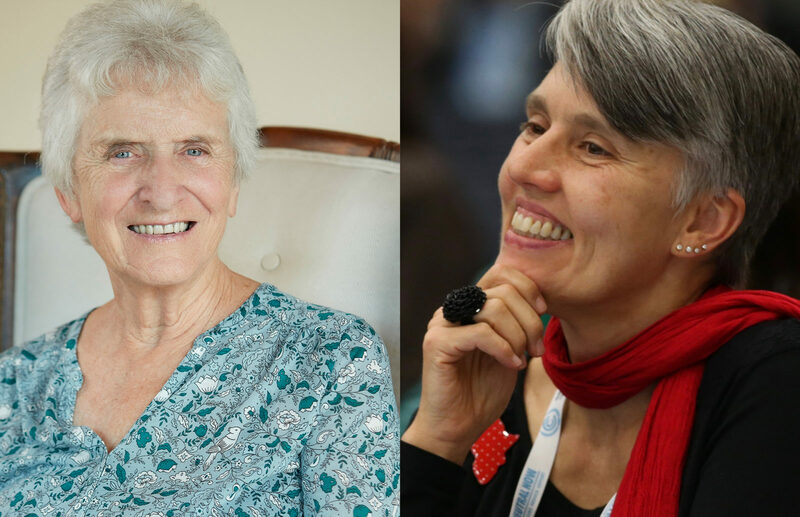 Dr Debra Roberts of Durban was named on 20 March as one of the world’s most influential people in setting global climate-change policies, while Dr Jackie King of Cape Town became the first South African woman to win the prestigious Stockholm Water Prize – regarded as the water community’s equivalent of an Oscar or Nobel. The plaudits were announced this week by the Stockholm International Water Institute and the London-based public servants’ networking group, Apolitical. Roberts, a graduate of the University of KwaZulu-Natal, is head of the eThekwini Municipality’s Sustainable and Resilient Cities Initiatives Unit and co-chair of a scientific working group of the United Nations’ Intergovernmental Panel on Climate Change (IPCC). King, a graduate of the University of Cape Town and adviser to several governments in Africa, Asia and South America, has been honoured for helping to ensure a more balanced approach to the development of dams and river water extraction schemes – helping to ensure that the natural environment and vulnerable people continue to receive a fair share of the precious liquid that sustains all life. Dr Debra Roberts was recognised, alongside English broadcaster and natural historian Sir David Attenborough; 16-year-old Swedish climate activist Greta Thunberg and Roman Catholic Church head Pope Francis on the inaugural list of “The World’s 100 Most Influential People in Climate Policy”. The list also includes several environment ministers, mayors, scientists, public servants and climate activists who were described as “high-profile advocates whose work is indispensable in raising awareness and demanding change”. The list was curated from nominations from hundreds of public servants as well as experts at the United Nations Development Programme, Harvard and Oxford universities and the Climate Action Network. “By showcasing these climate policy leaders, we hope to encourage more collaboration and exchange to accelerate effective responses to the global climate threat,” said Apolitical executive chairman Lisa Witter. In a Skype interview from Geneva, Roberts told Daily Maverick she was pleased to see that several public servants from across the world had also been recognised for their behind-the-scenes work to ameliorate the scale and impacts of climate change. She was also happy to see Greta Thunberg and other young leaders had been acknowledged for helping to take the climate change debate “out of the dark, and on to the streets across the world”. Young people had a critical role to play in shaping the policies that would determine their future, she said, and were now using social media to communicate knowledge and also their desire for a sustainable and healthy environment to be incorporated into education curricula as early as possible. Roberts, who set up the eThekwini Municipality’s Environmental Planning and Climate Protection Department, was elected in 2015 as Co-Chair of the Intergovernmental Panel on Climate Change’s (IPCC) Working Group II for the Sixth Assessment Report (AR6) cycle. This is the first time a South African and a local government official was elected to such a position within the IPCC, an expert advisory body that was set up by the United Nations in 1988 . She was also lead author of a chapter in the IPCC’s Fifth Assessment report and has been a member of the South African government negotiating team on climate change at several United Nations meetings. She has also worked closely with Ban Ki-Moon, Bill Gates, the Rockefeller Foundation and other groups on projects, including how to assist communities in a changing climate. While acknowledging that the science of climate change was often seen as complex and overwhelming, Roberts said the majority of people she meets are aware of the consequences and wanted to take action. “And you can take action in several ways – for example by using your vote at election time or through the personal choices you make with the products you buy. On whether business and branches of governments across the world were responding fast enough to the climate change crisis, Roberts replied with a blunt “no”. On whether she believes it is possible for profit-driven businesses to abandon traditional models premised on endless economic growth, Roberts said business and industry had to recognise that there are limits to the world’s natural resources. Dr Jackie King, winner of the 2019 Stockholm Water Prize, will receive her award from HM King Carl XVI Gustaf of Sweden at a royal ceremony in August. She has advanced the scientific understanding of water flows, giving decision-makers new tools to assess the full range of costs and benefits when developing river systems. King had led the early development of these methods as a researcher at the University of Cape Town, funded by South Africa’s Water Research Commission. “I find this award humbling, energizing and very rewarding,” she said in a statement. The nominating committee said her commitment to raising awareness of the value of rivers and their importance for millions of people had meant that she was highly regarded by academics and water managers globally. “Dr Jacqueline King has, through scientific rigour, selfless dedication and effective advocacy, transformed the way we think, talk and work with water as a flow of and for life,” the committee said. King’s early work had also influenced South Africa’s acclaimed 1998 National Water Act, which was increasingly guiding governments and institutions across the globe. As a researcher and later as a consultant, she worked in more than 20 countries and with governments of the Mekong, Zambezi, Indus and Okavango River Basins, among others. “Governments developing their water resources understand the potential benefits but not necessarily the costs in terms of degrading rivers,” she said. The Stockholm Water Prize, presented annually since 1991, has been described as the world’s most prestigious water award and honours women, men and organizations who have made extraordinary water-related achievements. After the Committee has selected a candidate, the Royal Swedish Academy of Sciences makes the final decision which is confirmed by the Board of Stockholm International Water Institute. She was co-founder and principal researcher at the Freshwater Research Unit, University of Cape Town for almost four decades and is now Extraordinary Professor at the Institute for Water Studies, University of the Western Cape and an independent consultant. Her work has also been recognised with both Gold and Silver Medals from the Southern African Society of Aquatic Scientists and South Africa’s “Women in Water” Award in the research category. But King’s success story had humble beginnings, according to an article published by the University of Cape Town.